I have enjoyed my 3 day weekend to the fullest!! But Happy Martin Luther King Day to you. I love this quote by such an amazing man! I'm a couple days late to Gina's Slim Down Saturday party. This week was kind of difficult for me. Guess it's the week 2 slump! Still waiting on February to weigh in...two more weeks! I didn't lose total control. I have been very hungry this weekend. Fortunately, I needed to go grocery shopping so there wasn't much to eat at my house. I need to find some strategies for dealing with the munchies. Any ideas? I haven't exercised since Thursday. My goal is to make sure I exercise 3 days a week, which I've done. But I know I will have better results if I make it a priority! I've really slacked on my water this past week. So it's a focus for next week along with moving. It's been a lazy weekend. Loving the new wordle Gina found! Improve is my word to focus on this week. My one little word for the new year is Moving Forward. So I'm not going to let the failures of this past week get me off track. I can only keep moving forward and improve! 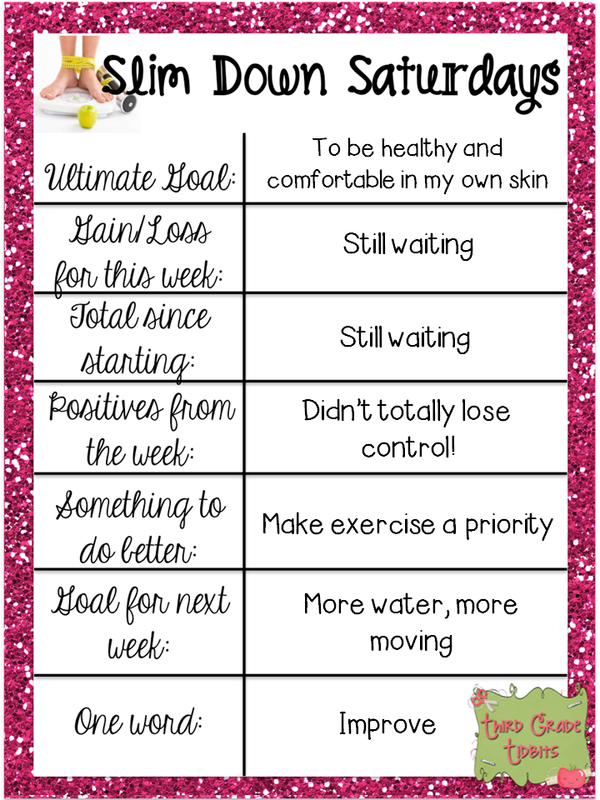 Be sure to check out the other Slim Down post over at Third Grade Tidbits! I also wanted to share with you a new blog I found! It's two fifth grade teachers who, by the way, have the cutest classrooms!! They are having a giveaway to celebrate their new blog! Be sure to check them out here!! I'm really looking forward to this week with my kiddos. Last week was crazy with only 3 student days filled with lots of benchmark testing. Ugh..but...I have some fun things planned as we finish our unit on Fractions and begin our unit on Rocks & Minerals. Stay tuned! I am finding reading other's goals is actually keeping me motivated - thanks for sharing your journey! I am still so impressed that you still haven't weighed yourself! Way to go! I talked about it a bit in my post, but drinking tea helps me at night when I have the munchies!!! I also shared a fun easy way to make popcorn! 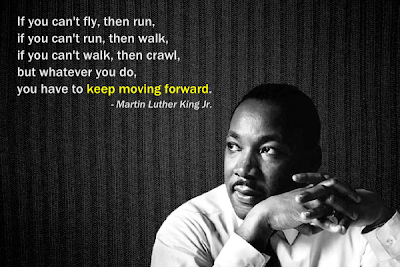 I was inspired by the Martin Luther King quote you shared; thanks for including it in your post today! I just went to the grocery store to buy hummus to munch on and spent $87...I really should've made a list before I went. I have been lacking in the water department this week too. LET'S DO THIS!!!!!!!! Go get a glass right NOW...I'm going for one too!!! Almonds are my go to snack when I have the munchies right now. I also bought some cheese crackers from the organic section and some Fiber One bars. Now that I am eating a lot more proteins though and more water, I am not getting the munchies as much! I am very impressed that you haven't weighed yourself yet. I hope you see big changes when you do! I had a rough week too and aside from eating healthy, I can't get back into the swing of things! I am just so tired the thought of working out makes me want to curl in a ball and cry haha. But I am at least eating healthy! Good luck this week!! Thanks for the blog post about our new blog! I just started following your blog!